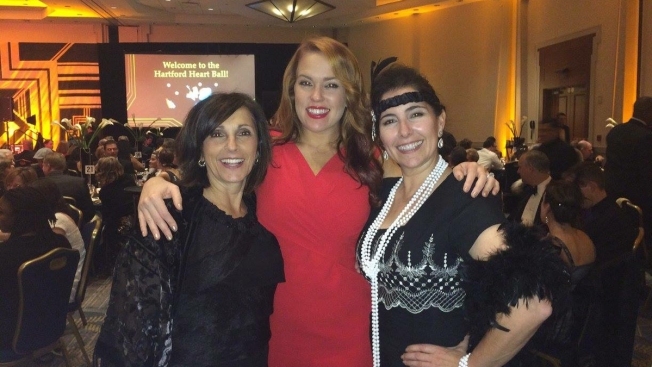 NBC Connecticut is connecting you with the American Heart Association’s Hartford Heart Ball, emceed by our own Heidi Voight, on Saturday, November 19, 2016 from 6:30 p.m. to midnight. The black-tie event is a gourmet dinner intended to connect community members, medical professionals and corporate leaders to celebrate the work of the American Heart Association and the American Stroke Association. The event also includes dancing and a silent and live auction. Contributions from the event support research, professional and community education and advocacy efforts specific to stroke. One out of every three deaths in the U.S. is caused by heart disease and stroke, according to the American Heart Association, the nation’s oldest and largest voluntary organization dedicated to fighting heart disease and stroke.